Keeping the kids excited about having fun out in the snow sounds really good. Children grow up fast and thus they change their preference fast as well. This means that you have to take advantage of your kids, childhood while you can. One of the best ways to enjoy the winter season is snowshoeing with your kids. And what better place to go snowshoeing in Bryce Canyon? If your kids have not yet tried this exciting activity, it would be better if you can fire up their interests by telling them stories about your own experiences when you were snowshoeing as a child. The stories should spark enough enthusiasm for a more fun and exciting adventure while walking in the snow. Bryce Canyon is one of the prettiest places on this earth, and snowshoeing in Bryce makes for a unique experience that many are afraid to take on. Snowshoeing can be a whole lot funs when you play games. One good game is Rabbits and Coyotes. If you have even seen a rabbit dash through the snow, then you may have noticed that their huge feet usually hit farther forward down the ground than their front feet. You can help your kids use their hands (with mitten, of course) as the front paws and their feet (clad in snowshoes) will be heir rabbit back feet. The idea of the game is to teach your kids how to jump like rabbits by pushing off using their hind legs and then landing on the snow-filled ground with their snowshoes a bit forward than the mittens. It wouldn’t be an easy game for the start, but with a few tries, and once the rhythm has been perfected, you may not be able to stop your kids from hopping around like bunnies. The Coyote game is slightly different and real coyotes are straight walkers. Teach your kids how to walk like coyotes by hunching them over and using their mitten covered hands first and their snowshoes should land right where mittens are. Snowshoes markings should be able to completely cover the mitten prints. Story telling is an age-old tradition that is always guaranteed to work on children. If you do not know of any outdoor stories, make up one or more. It would be easy enough, just get inspiration with what you see around you. Focus on s tree, for example, and then ask your kids about, what could have happened around that tree. They may start giving their own imaginative answers and before you know it your get different versions and you did not even need to tell the story. Once you kids have become experts at snow walking and they have tried other trails and even gone out of town for their snowshoeing adventures. It would great to ask then to return to their old snowshoeing trails once in a while. It will surely bring back those good old memories’ of the times when they have to struggle just to take a single step forward. These are just a few things that you can do to keep your kids occupied during the boring winter season. They do not have to be content sitting inside you house and just watching the snow from the windows. But then right snowshoes and then let them out. 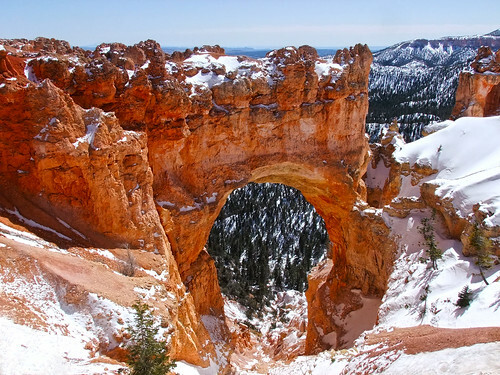 All of these things will prepare your kids for a snowshoeing expedition to Bryce Canyon. Bryce in winter is a wonderful place and you’ll be so happy when you come. And as always if you need a place to stay in Bryce when you do, we’re here for you.